All citations should include these elements. See examples of citations for print and online sources in the tabs above. Everyone knows that directly copying another author's work is plagiarism, but there are also less obvious forms of plagiarism. Plagiarism takes many forms and the consequences can be severe, so it pays to be well informed. The simple definition: Plagiarism is copying an author's work and passing it off as your own. This definition may seem simple, but plagiarism can be much more complicated. 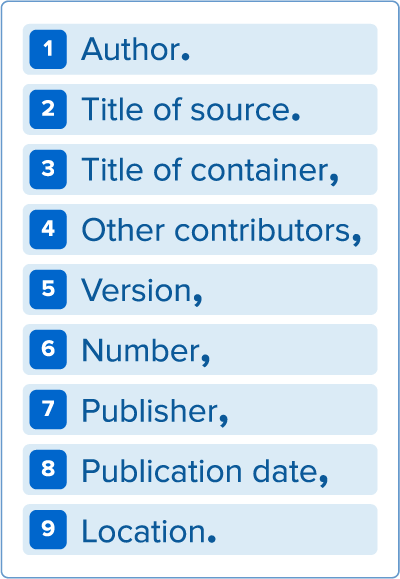 Did you know that you could be held responsible for plagiarism if you paraphrase (i.e., to put in your own words) an author's work without providing a citation? Even if you cite your source, if paraphrasing is not done correctly, you could still be plagiarizing. It can sometimes be difficult to put an author's ideas into your own words without plagiarizing. My best advice is to eat a sandwich. Step 1: Read the part of the source you want to summarize/paraphrase. Step 2: Walk away. Eat a sandwich. Watch some TV. Do anything that takes your mind off the paper. Step 3: Without looking at the source, write what the author was trying to say. The idea is to get the author's ideas stored in your short-term memory. When you process the author's work, your brain will automatically reword it in a way that you can understand. Then, you do something to disrupt the memory (like eat a sandwich, yum! ), which helps scrub the author's exact wording from your memory. Although you no longer remember the author's words, you probably remember the main points. When you start writing, you express the author's ideas in your own terms rather than in the original wording. This sounds like a funny trick, but it really works. Even if you paraphrase, you must cite your source! The following websites may help you better understand and avoid plagiarism. Remember that there are serious consequences for plagiarizing. NOVA outlines its policy on academic integrity. Explains plagiarism and how to use correct citations in order to provide appropriate credit to your sources. Learn the basics of plagiarism, along with suggestions on how you can prevent plagiarism when writing your papers. Learn about plagiarism, citing sources, resources, and ask an expert. 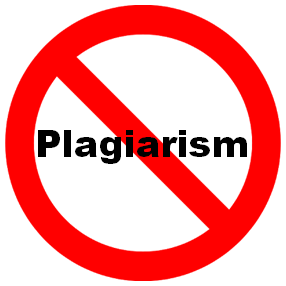 Learn about plagiarism and free online citation tools. Requires MyNOVA / Blackboard username and password for access.